Top panel shows the histogram of the difference of the spectral subtype between the manual and MKCLASS classified results, i.e., MKCLASS−Manual class. 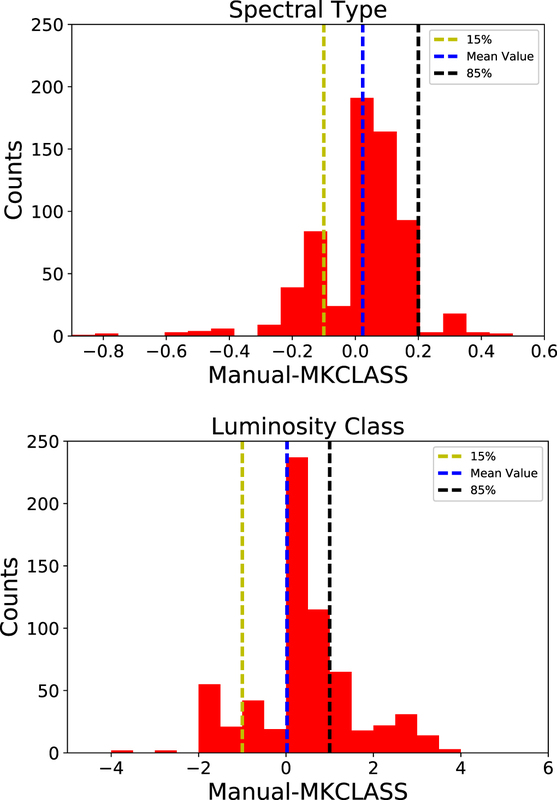 The bottom panel shows the histogram of the difference of the luminosity class. The blue dashed lines are the mean values of the difference. The green and black dashed lines indicate the 15% and 85% percentile, respectively.